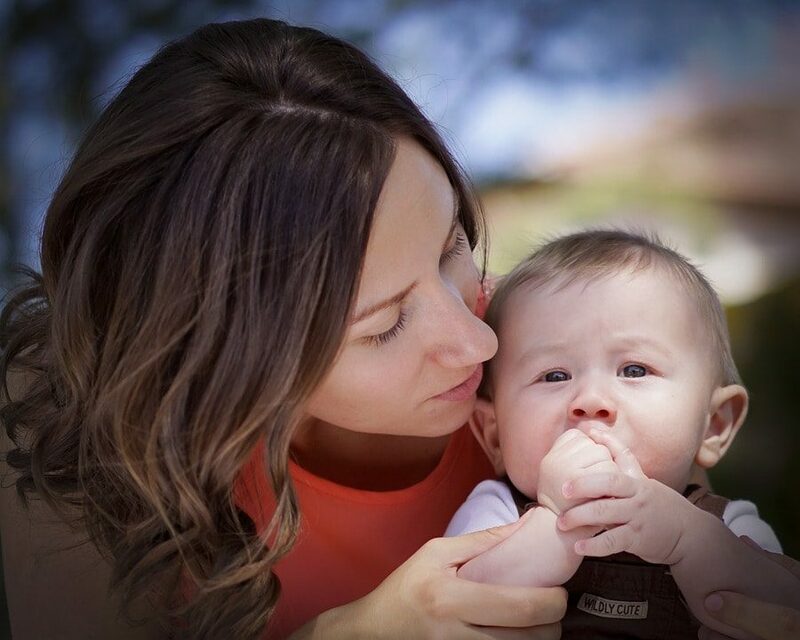 At the beginning of April, our family was hit hard with a virus that seemed to be going around our area. After two weeks of ups and downs — with fevers, chills, coughs, stuffy noses, viral conjuctivitis and more, I was pretty much done for already…and then I woke up one morning with a sinus infection. This wasn’t a “I think I might have a sinus infection” moment, it was a “my face hurts so bad I could (and did) cry, I can’t bend down to put on socks because my head’s going to explode and I won’t even tell you about all of the (ahem, I hate this word) mucus I am dealing with” moment. I had been working really hard to use natural remedies, and thankfully, the rest of my family had turned the corner the same night that I descended to the next level of Hades. In the past, our attempts to use a natural medicine cabinet usually all go the same way: we start with natural remedies and then we get tired/overwhelmed/discouraged and end up with OTC drugs or unnecessary antibiotics. However, this time, the progress everyone else had made was the encouragement I needed to keep trying natural remedies for myself even though I really just wanted to curl up in a ball and die. I had been hearing about the benefits of raw apple cider vinegar for months (and pretty much ignoring them), more of which I’ll share with you in another post, and one of the things that stood out to me was that ACV is good for clearing the sinuses. I already had Bragg’s Apple Cider Vinegar on hand, so I followed the recipe on the back of the bottle: 2 teaspoons ACV, 12 oz. of water and 5 drops of stevia. I drank 3-4 glasses that first day, and as an added benefit I was also staying really hydrated, which is important for clearing the sinuses. Although garlic can be used in a variety of ways, one of my favorites is as an immune booster. It’s most effective raw, and because I was pulling out the big guns, I crushed a whole clove of garlic, covered it in raw honey and swallowed it straight down twice that first day. Drinking hot tea and broth is another simple remedy because the warm liquid helps to clear your sinuses and keeps you hydrated as well. Add to that the health benefits of bone broth (which I unfortunately didn’t have on hand at the time, but I do now! ), for a win-win. As a side note, drinking hot tea while I was sick also began my transition to going caffeine free. I was able to step down from the caffeine in a triple espresso to the caffeine in a cup of tea (which is significantly less) and then on vacation I stopped drinking caffeinated versions of either altogether. Some people hate the thought or feel of the neti pot, but I have to admit that I find it really soothing once it’s able to run through my sinuses. I added the premixed packet to boiled (and cooled) water and did an irrigation 3 times a day for a few days. Finally, the value of warm steam for relieving sinus pressure and clearing the sinuses can’t be understated . I took several hot showers, massaging my sinuses with a warm cloth while standing in the steamy shower, and I also heated water on the stove, removed it from the heat and draped my head and the pot with a kitchen towel to create a steam tent so I could breath in the warm steam. In high school and college, I dealt with almost chronic sinus infections, taking many rounds of antibiotics during those years, but this time I experienced a dramatic turnaround within 24 hours of starting this regimen, and I never had to take a single over-the-counter or prescription drug except for ibuprofen for my headache (the one drug I’m unwilling to give up, although I use it sparingly). That was a huge step for us and one that I hope will be the foundation as we continue to move forward with building a natural medicine cabinet. 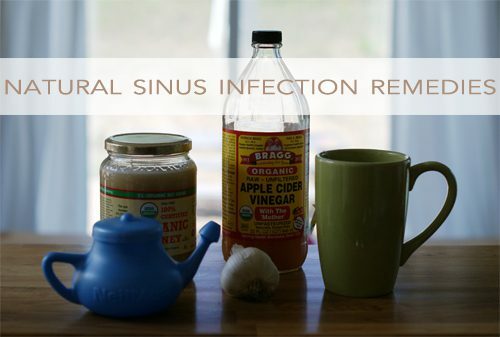 What other natural remedies for a sinus infection would you add to this list?